Well the Vikings would have to almost win out. Winning all 5 remaining division games. Then play solid against the NFC west and AFC east. That's why this game is make or break if they win 2-2-1 they can rebound and have a good season. Let's say they they lose against the eagles and are down to 1-3-1. I'd expect them to win against the Cardinals, Jets, Seahawks, and Dolphins - putting them at 5-3-1. For the division, I'd expect them to sweep the Lions, and go 2-1 against the Packers / Bears (twice) - putting them at 9-4-1. That leaves games against the Saints and Pats. If they lose both, they end up at 9-6-1 which very realistically wins the NFC North. If they win just one of those final two, then they are 10-5-1 with almost a guaranteed NFC North crown. The path isn't really that absurd following a tough start. I almost forgot the Eifert injury. That's a big blow. You don't think the Lions will be playing better by November? You straight up give them none chance here. Or it won't matter because you're expecting the Vikings to be playing better by then too? I'm probably guilty of thinking Stafford is better than he really is, but I'm not ready to let go of that yet. 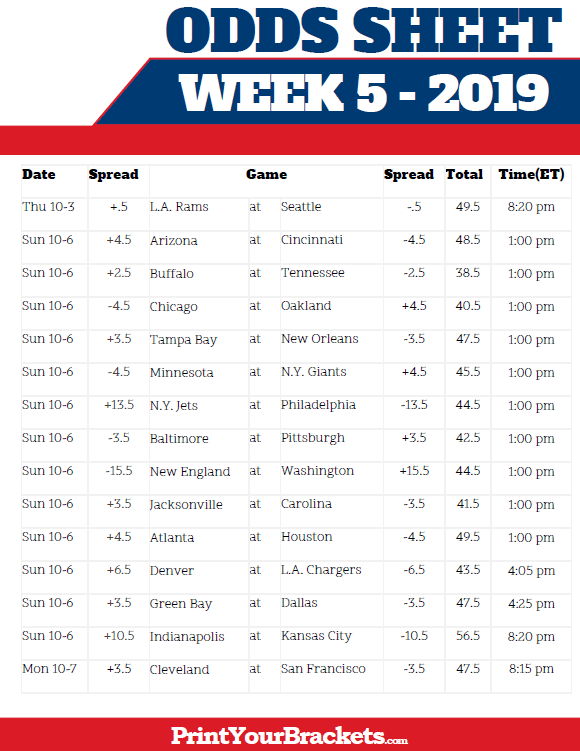 but if I were hypothetically in Las Vegas this weekend, which I won't be, I'd put some money on the Packers (-1.5)... then I'd put a very small wager on the Giants (+7.5) to cover. Other than that... lots of good games this week... Pitt (1-2-1) vs ATL (1-3) has my attention... one of those teams is going to be very disappointed after week 5 and I'm hoping it's the Falcons.... Minnesota vs Philly will be the game of the week. Yep Pittsburgh/ATL is another one that has could be the season ender for the losing team. Atlanta could be 4-0 if they played tighter. im not necessarily giving them no chance but if you held a gun to my head and said "pick these games", that's how I'd do it.